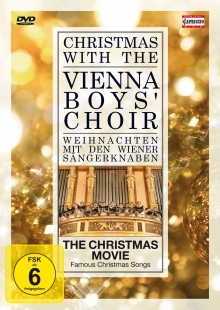 PUERI CONCINITE · JOY TO THE WOLRD · SILENT NIGHT · THE LITTLE DRUMMER BOY · O DU FRÖHLICHE etc. Vienna: the festively decorated Augarten Palace, the home of the world-famous Vienna Boys’ Choir. As at Christmas time every year, the choirboys are preparing for the coming feast with great joy. There are frequent rehearsals, while Santa Claus looks for his way through the long corridors. Over there, the Christmas tree is being set up and adorned with merry songs on the lips. The sweetish scent of baked apples wafts over from the kitchen, and the the large fireplace in the Baroque banquet hall bestows warmth and a feeling of security. It is a festival of songs, a feast for the boys, without an audience and without loud applause. They are singing for themselves and the Christmas feast – and the boy in the crib.